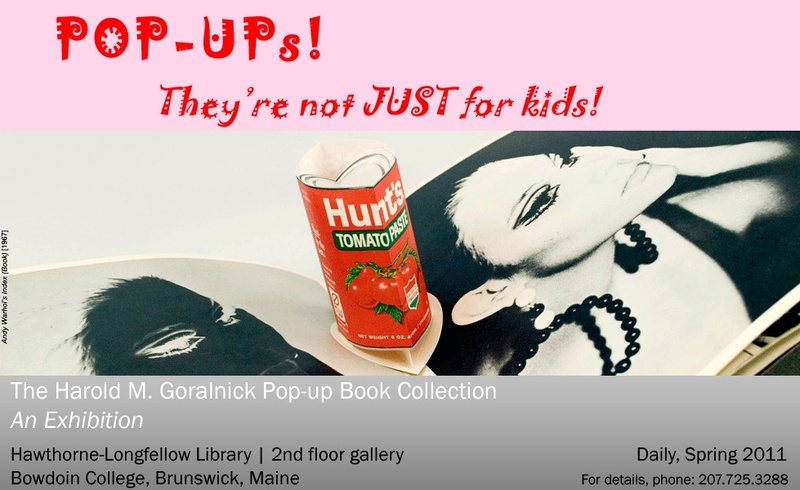 Bowdoin College in Brunswick, Maine has put together a nice exhibit of pop-ups that will be on view in the Hawthorne-Longfellow Library until June 4, 2011. The curators selected more than 150 movable items from the 1,800 titles donated to the college by alumni Harold M. Goralnick for the show, “Pop-ups! They are not JUST for kids”. Click here to view the press release for the exhibit.